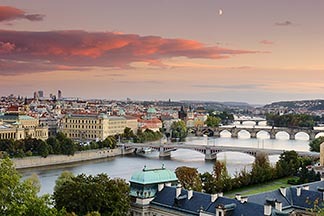 Images from Prague and the Czech Republic are finally up on the site. It was quite a trip. The city is bustling, full of tourists and enthusiasm, and upbeat in an encouraging way. The last time I visited was years, years ago – what a change. Cesky Krumlov is another medieval delight, almost storybook, in Southern Bohemia. A UNESCO World Heritage site and definitely worth a day or two of wanderings.